When Kevin Oswald thinks back on his childhood it always includes memories of automotive service. He remembers working with his dad when he was around 8 years old and being the one who cleaned the oil off of the shelves. “The cans were made of cardboard then and they would weep [oil], so I’d have to climb in the shelves and wipe them down.” He learned early from his father how to work hard and the values that Oswald Service stood for. Those values started from the beginning, grandpa (Lovene) Crockett told Kevin’s father, Blaine, “Do you see that [gas] station down the road? You need to remember that their gas will go just as good and as far as ours will. The thing that makes ours better is the service that we give.” This service has also been built on honesty and integrity. Something that is sometimes lacking in the automotive repair industry. Oswald Service and Repair also likes to set themselves apart by the look and feel of their locations. “We’ve taken great thought into providing our customers with a comfortable setting so the experience of automotive repair doesn’t feel foreign and overwhelming. We feel like people should be comfortable and feel welcomed,” Kevin said. In addition to the look of their shops Kevin explains that Oswald Service and Repair is focused on education. “We want our customers to know and understand the why behind the decisions they need to make about their cars. We really try to take the time to educate them so they don’t feel pressured and so they can do what works for them and their budget.” Kevin explained that this also sets them apart and pointed out that they have over 1000 5 star reviews (on SureCritic) that confirm this same thing. Oswald Service and Repair was chosen as the Post Register’s readers’ choice Best of 2018 for auto mechanics and placed 3rd for oil changes, which Kevin said was a surprise because they are not a quick lube. The business no longer sales fuel and they focus on automotive repair and maintenance for all makes and models of vehicles. Kevin says, “we were the last full service gas station in Idaho Falls where we washed your windshield, checked your tire pressure & fluids and pumped your gas. 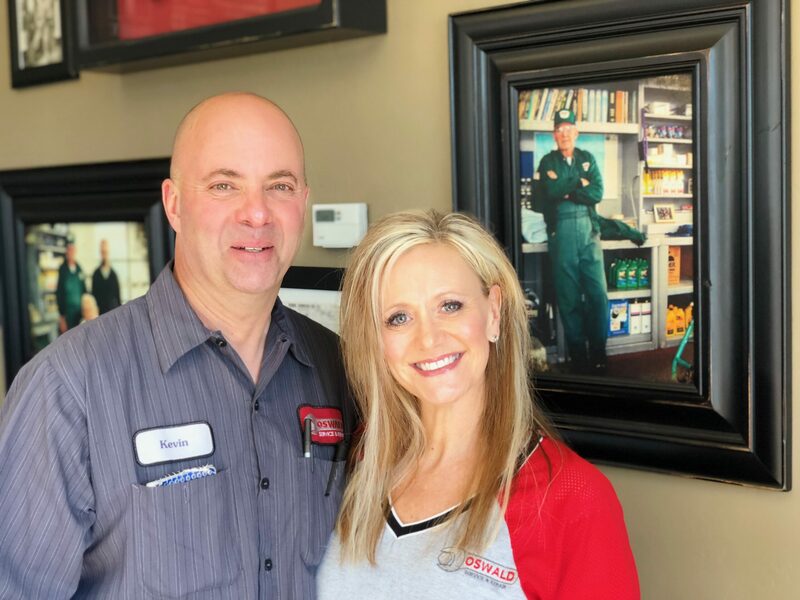 When gas prices went up (about 10 years ago) we just couldn’t sit on the inventory and decided to focus on automotive repair.” That decision was impactful to many who had never pumped their own gas before and relied on Oswald’s. Kevin tells the story of a customer who would come to the shop every week after they stopped selling fuel and they would go with her to a nearby gas station and pump her gas for her. 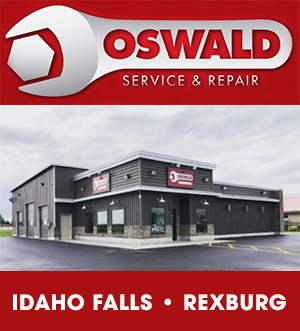 Oswald Service and Repair has recently opened a second location in Rexburg, Idaho. “We look forward to having this location to serve the Upper Valley and are excited to be involved in the Rexburg community,” says Kevin. For all of your automotive repair and maintenance needs visit them at 725 Yellowstone Ave in Idaho Falls or 1005 N 2nd E in Rexburg, Idaho or online at oswaldserviceinc.com or oswaldservice on FB and @oswaldserv on Instagram. Great article about a great family legacy!